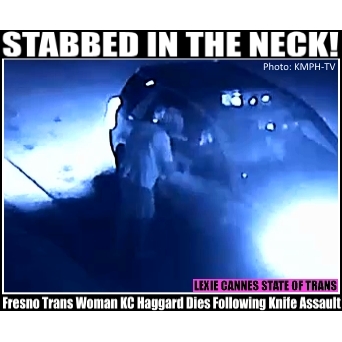 LEXIE CANNES STATE OF TRANS — In Fresno, California, a trans woman was stabbed to death this week in an incident that was captured on surveillance video. Local transgender advocates say the victim is KC Haggard. Video shows that she was stabbed in the neck as she stood by the passenger side of a SUV talking to someone in the vehicle. The SUV drove off and Haggard staggered away. Her pleas for help were ignored by a car driving by before she finally collapsed. Police are looking for suspects. 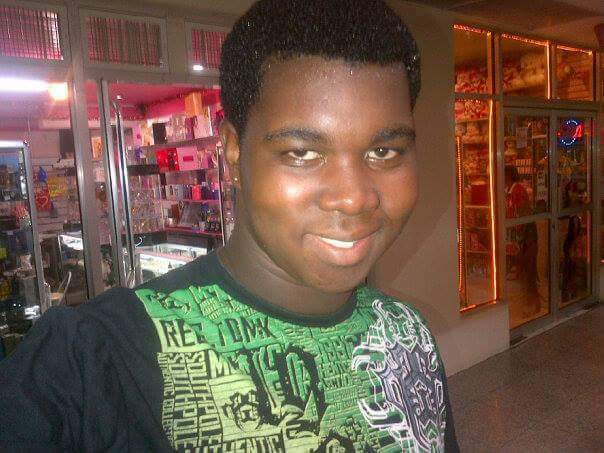 Also earlier this week in Georgetown, Guyana, trans woman Nephi Luthers was shot in the head when the person she was talking to pulled out a gun and fired. This report first came to my attention via Planet Transgender reporting on news from the Guyana Transgender United Group. While the victim was taken to a hospital, she later died from the injury. The assailant fled the scene in a car. Updated news reports provided no additional details. UPDATED Oct. 27, 2015 — One suspect, Ron Forde, has been arrested, another, Kanand Ojha, is apparently still on the run. Fresno video: Caught On Camera: Transgender Person Stabbed & Killed In Street – KMPH FOX 26 | Central San Joaquin Valley News Source. I don’t know, Hanna, it’s clear that the car called her over to them. I think it was for sure a hate crime, and she was the innocent victim. Rest in peace, K C Haggard and Nephi Luthers. I agree with you Brenda.